Each section of the trail varies in length from 70 to 230 m linking a total of 10 platforms, making the total length of the trail 1.2km. The trail has been designed and built to South African civil engineering standards and all the equipment has been designed specifically for this activity. The duration of the activity is around 2 ½ hours. 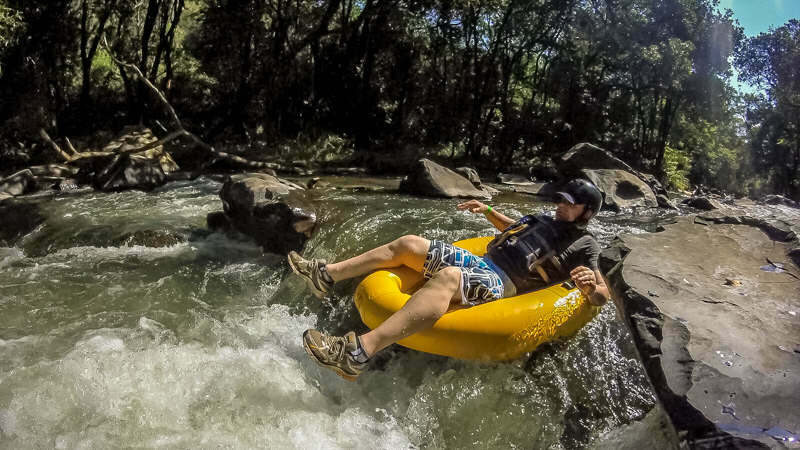 Tubing with a difference - go down the Sabie River in raft-like tube, paddling with wrist fins! No paddles needed! Very easy to steer, very safe and one of the coolest ways to have fun with family and friends in the sun and water. It's GREAT FUN!!!! Duration: 2 ½ hours, cold beverages included. 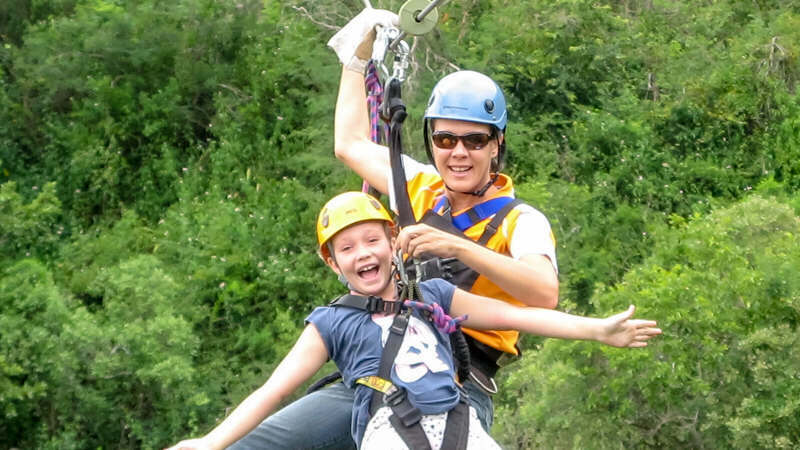 The course is the first of its kind in South Africa and is built to European Rope Course Standards, and has the latest continuous belay safety system imported from Switzerland. 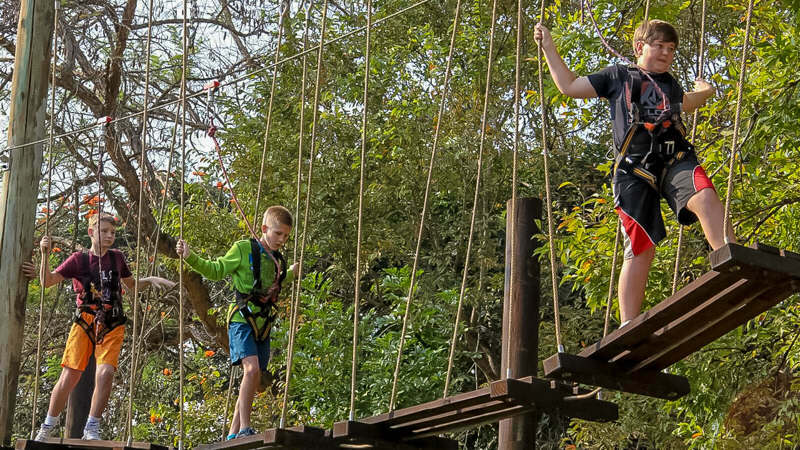 The course itself is made up of 18 challenging elements and is suitable for people of all ages who are up for the challenge from 1.3 m tall with a maximum weight restriction of 120kg. The course is situated in a private natural forest reserve along one of the main tributaries of the Sabie River. Guests are collected at Gecko lodge and then transported to the forest by vehicle. The duration of the activity is around 1 ½ hours. 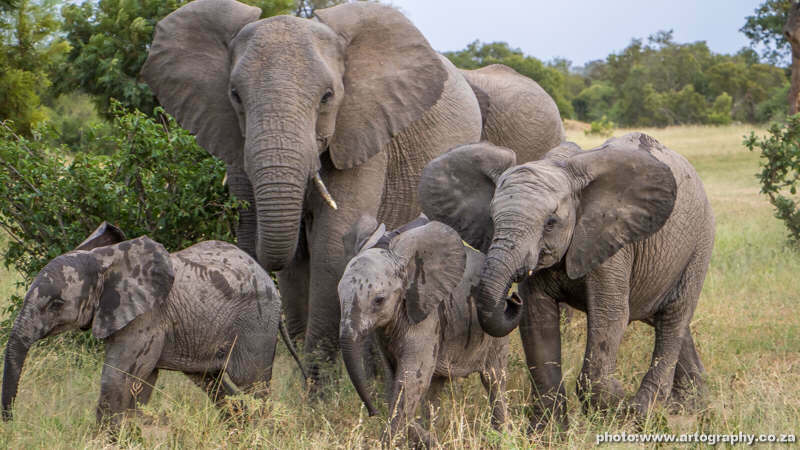 Get an up close and personal experience with the wildlife of Africa! Embark on Morning or Afternoon safari guided tours and observe the animals in their natural habitat. You will be accompanied by skilled guides to take you through the Kruger National Park pointing out animal behaviours, facts and cultures. The guides are trained in many areas, so whether you are a birding fanatic, a cat fiend or just a general nature lover, be sure to let your guide know so they can tailor the best experience they can for you. 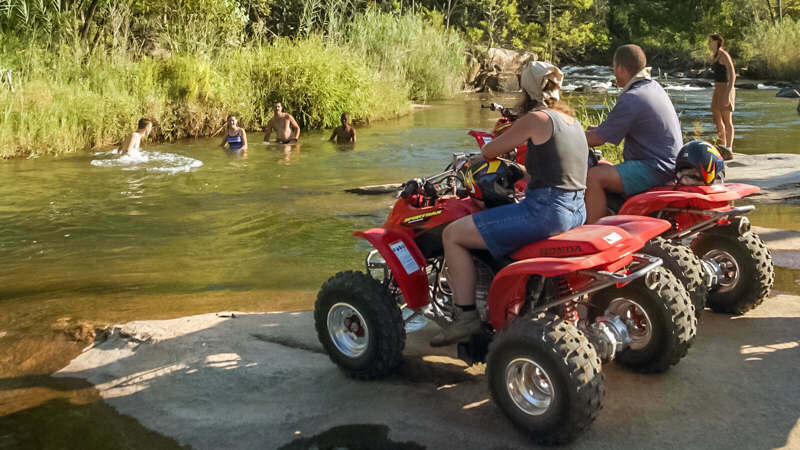 Explore our beautiful area on a 4-wheeler! There are a number of quad trails available which are suitable for novice and experienced riders. The quads are 250cc semi-automatic and reasonably easy to drive. For the sake of safety it is recommended that drivers are at least 16 years old, and children of 6 years and older can be taken as passengers by their parents. 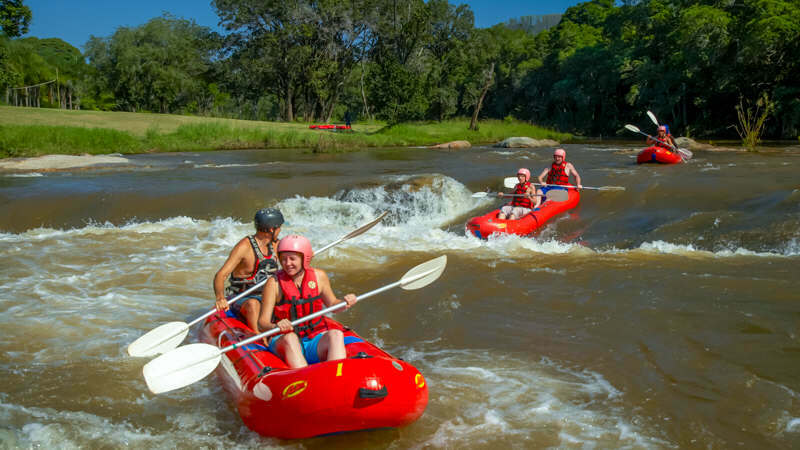 The Sabie River provides 20 rapids (grade 2–3) with areas of scenic vegetation and outstanding birdlife viewing. This 8 km route is yielding to the novice, yet accommodating to the thrill seeker within all of us. Swimming, bum sliding at “Lion's Rock”.